Does your vehicle need a power boost? Visit our two Electric Vehicle (EV) charging stations located on the east side of the shopping centre near Toys R Us. Available 24 hours a day, seven days a week for free! Stay charged while you’re on the road. 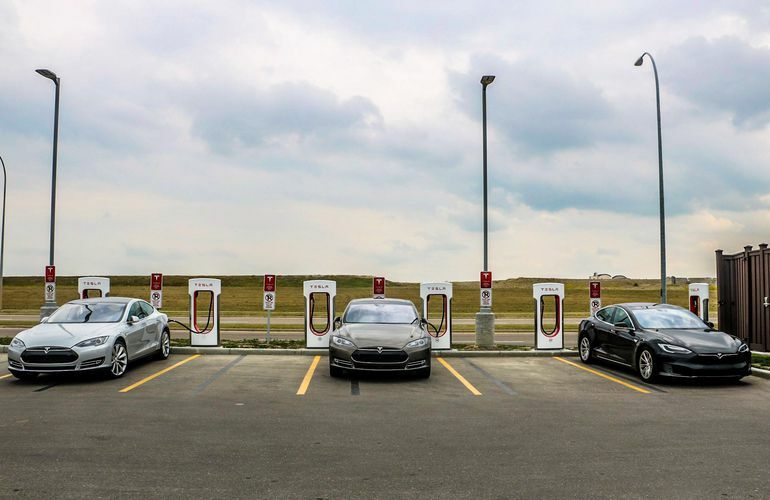 Visit the Tesla Supercharger Station located near Chapters at Woodgrove Centre. Superchargers provide Tesla vehicles with up to 270 kilometers of range in as little as 30 minutes. Available 24 hours a day, seven days a week for free! Woodgrove provides guests with emergency car boosting. Visit Guest Services or call 250.390.2721, and we’ll do our best to help in any way we can.